It’s an interesting time for Proton, as the national carmaker experiences its biggest change yet through its partnership with Geely. With the X70 SUV grabbing the headlines and with many more Geely-based models coming soon, the company is at a crossroads as it still needs to sell its indigenously-designed products. 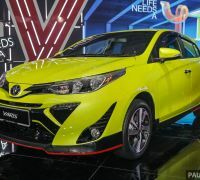 We can start to see its strategy in updating the latter as it gears up for the launch of the facelifted Iriz and Persona, which are more closely aligned to the design seen on the X70. 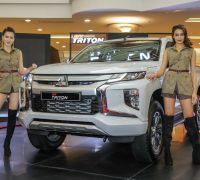 We had quite a few questions, and luckily Proton’s chief designer Azlan Othman was on hand to answer them and give us some clues regarding its future design direction. 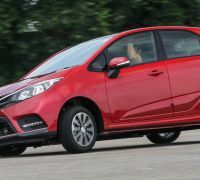 Why do the Iriz and Persona continue to have significantly different front end designs? How much local input will the locally-assembled X70 have? And how much of a role will Proton Design have in the greater Geely group? Watch the interview above to find out the answers. 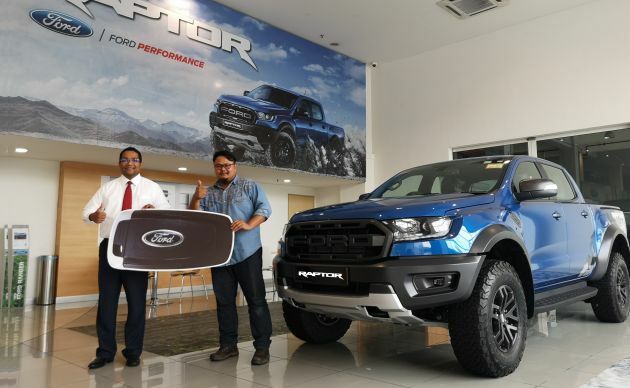 Sime Darby Auto ConneXion (SDAC), the sole distributor for Ford in Malaysia, recently concluded its “Buy a new Ranger, win a Ranger Raptor” contest by handing over the keys of a Ranger Raptor to the unbelievably lucky winner. Shahrul Iman bin Sulaiman from Pahang purchased a new Ford Ranger XLT Plus and now has two Rangers, including the desirable Ford Performance truck. “Winning the Ranger Raptor was something unexpected and is definitely the biggest win in my life. 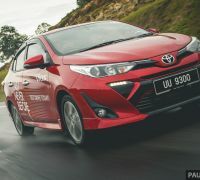 Thank you Sime Darby Auto ConneXion and Ford – I can definitely drive home in style this Raya,” he said, clearly understating things. The RM199,888 Ranger Raptor is powered by a 2.0 litre EcoBlue bi-turbo diesel with 213 PS and 500 Nm of torque. Power goes to the chunky wheels via a 10-speed automatic transmission. The Fox Racing Shox dampers are just like those on the big, bad F-150 Raptor. The Ranger XLT+ that Shahrul Iman bought is the only variant in the range powered by the 2.0L EcoBlue engine, other than the Raptor. In Si-Turbo single turbo form, it pushes out 180 PS and 420 Nm of torque, paired to a 10-speed auto as well. Click here for specs and pics of the entire 2019 Ford Ranger line-up. Another Friday, another weekly fuel price update. No joy for RON 97 petrol users, because the fuel is going up once more, and this time it’s quite a jump. As of tomorrow, April 20, RON 97 will be priced at RM2.80 per litre (up 12 sen from its RM2.68 last week). There’s of course no change in the price of RON 95 petrol, which continues to be pegged at RM2.08 per litre, the maximum price consumers pay no matter whether high market prices push pump prices beyond that. Likewise, the pegged Euro 2M diesel continues to be priced at RM2.18 per litre, while Euro 5 diesel – which is always 10 sen more – is at RM2.28 per litre. 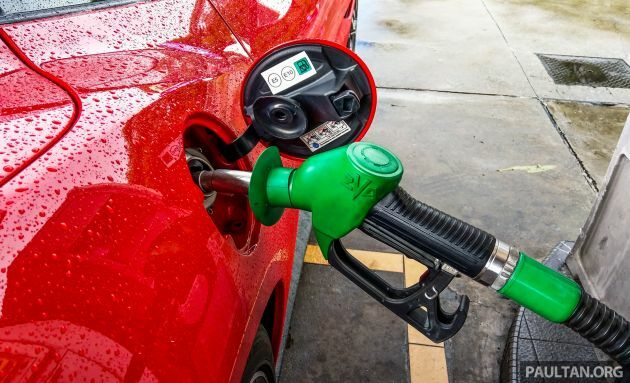 The government says that without the price cap in place, RON 95 petrol would cost RM2.50 per litre, while diesel would be priced at RM2.46 per litre based on Automatic Price Mechanism (APM) calculations. These prices will remain in effect until April 26, when the next set of fuel pricing adjustments will be announced. This is the 16th edition of the weekly fuel pricing format, which is announced every Friday, and takes effect from Saturday until the following Friday. Sports car fans hoping for a second-generation Toyota 86/Subaru BRZ, you can now breathe a sigh of relief. According to an article posted by Drive, Subaru has confirmed that it will keep the rear-wheel drive coupe in its line-up. We are working on it. 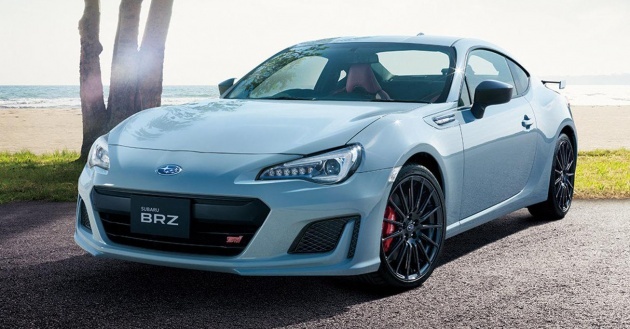 There will be a second-generation BRZ,” said a Subaru spokesperson. Details on the platform that will be used for the all-new Toyobaru twins remain a mystery for now, with Subaru saying its latest SGP platform will not be used as it was strictly developed for all-wheel drive applications. The Subaru Global Platform can already be found in the current Impreza, XV, Ascent, Forester, Legacy and Outback. “It’s a very flexible platform, but we make all-wheel drive vehicles. That’s our forte, all-wheel drive,” explained Thomas Doll, chief executive officer of Subaru of America. In their current form, the Toyobaru twins use an adapted version of the previous Impreza’s chassis, and are powered by Subaru’s flat-four engine with Toyota’s D-4S injection system. Toyota supplies the automatic and manual six-speed transmissions. Whatever the case may be, it’s good news to know that Toyota and Subaru are committed to continue their partnership for a new sports car. All we have to do is wait. 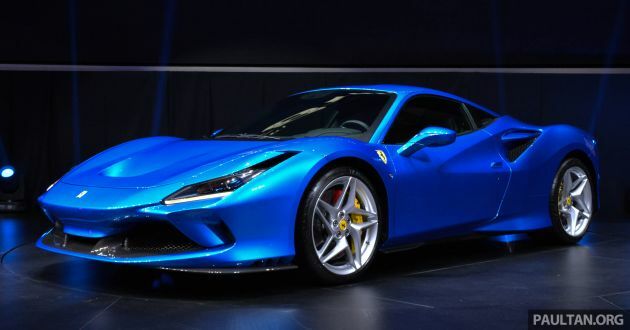 Naza Italia has officially launched the Ferrari F8 Tributo in conjunction with the 10th anniversary celebrations of Ferrari Singapore, Thailand and Malaysia. We’re the first country in the region (and the second after China) to showcase the 488 GTB replacement, which made its debut last month in Geneva. Measuring 4,611 mm long, 1,979 mm wide and 1,206 mm tall, the F8 is marginally longer (+43 mm), wider (+27 mm) and lower (-7 mm) than the 488 GTB. It’s also lighter – with lightweight options, the F8 tips the scales at 1,330 kg, which is 55 kg lighter than the 488 Pista (1,385 kg). 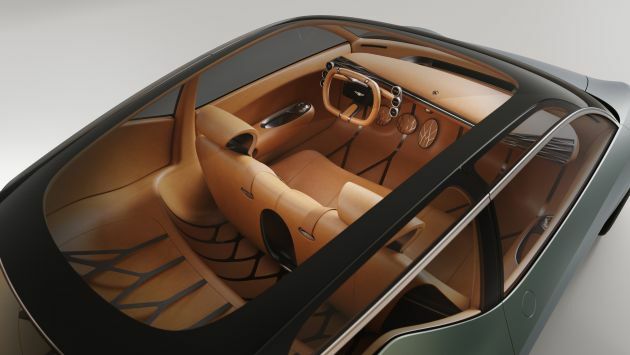 The company says that the exterior styling of the car showcases elements of a new design language that the company is heading towards. The changes are not just geared towards the visual, but offer a 10% improvement in aerodynamic efficiency over the 488. Design cues include new compact, horizontal LED headlights, which allows the incorporation of new brake cooling intakes. These help improve air flow throughout the entire wheelarch, precluding the need to increase the size of the braking system to cope with the car’s improved speed. The car also features an S-Duct, which made its debut on the Pista. Redesigned for its application here, the S-Duct adds 15% to the overall increase in downforce compared to the 488 GTB. The aero package also adopts several features from the Pista that are designed to help manage engine heat. 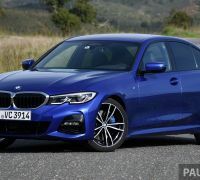 These include rearward-angled front radiators and dynamic engine air intakes, which are positioned on the sides of the spoiler instead of on the rear flanks. 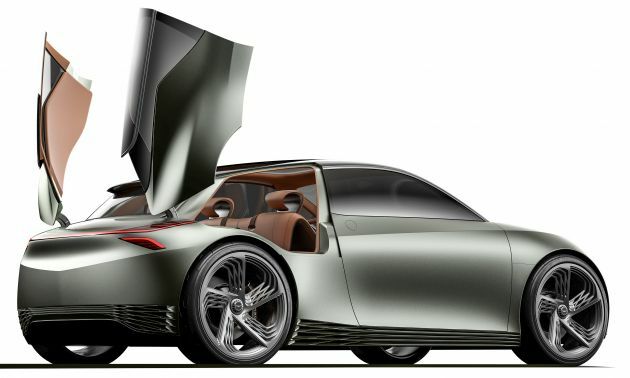 The F8 features a new Lexan rear screen, which pays homage to the louvred screen on the F40, albeit with a modern, more subtle twist – the louvres help extract hot air from the engine compartment without impacting the efficiency of the blown spoiler, which has been redesigned to increase rear downforce. Also finding its way on is a classic twin light cluster as well as a body-coloured tail. 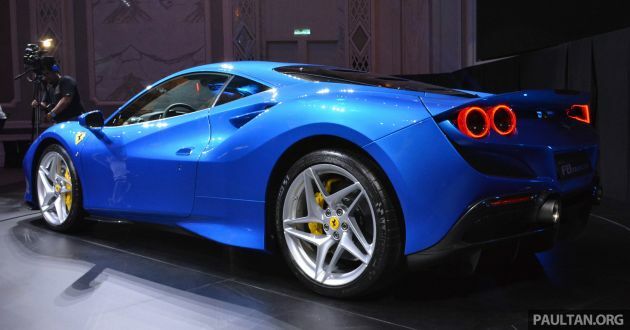 The F8 retains the use of the F154 engine in its CD form as seen on the 488 Pista. Output from the 3.9 litre V8’s output is similar, being 710 hp (720 PS) at 8,000 rpm and 770 Nm at 3,250 rpm. Performance figures for the F8 include a 0-100 km/h time of 2.9 seconds and a 0-200 km/h time of 7.8 seconds, as well as a 340 km/h top speed. 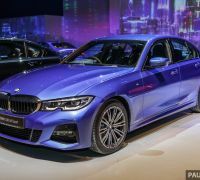 The car is also equipped with the latest version of the company’s Side Slip Angle Control, now in 6.1 guise, as well as a new version of the Ferrari Dynamic Enhancer (FDE+). The latter can be activated in the manettino’s Race position for the first time. Inside, the F8 gets a new, smaller steering wheel and a new 7.0-inch passenger touchscreen display. The dashboard, door panels and centre console have also been reworked. The Ferrari F8 Tributo is being introduced at the base price of RM1,068,000 (excluding duties and customisation options). 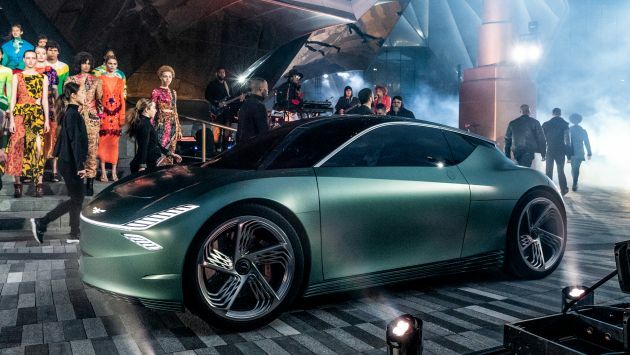 The first customer deliveries for the car here are expected sometime in early 2020. 6 comments | Leave a comment? The 2019 Hyundai Elantra facelift has finally landed on Malaysian shores, with the single 2.0L Executive model on sale for RM109,888 (on-the-road without insurance). Included in the price is a five-year/300,000 km warranty, as well as 24-hour road assist. Under the bonnet, the Elantra is powered by the existing 2.0 litre Nu naturally-aspirated four-cylinder that makes 152 PS at 6,200 rpm and 192 Nm of torque at 4,000 rpm. The mill is paired to a six-speed automatic transmission, with drive directed to the front wheels. Unfortunately, the Elantra Sport with the 1.6 litre T-GDI has been dropped from the range. As you’d be able to tell, the exterior design is almost completely overhauled. Features include halogen projector headlights, LED daytime running lights, 17-inch five-spoke alloy wheels shod with 225/45 profile tyres, leather upholstery, 3.5-inch TFT-LCD multi-info instrument cluster display, seven-inch touchscreen infotainment system (with Android Auto and Apple CarPlay support), keyless entry and start and a rear-view camera. Five colours are available – Polar White, Fluid Metal, Fiery Red, Teal Blue and Phantom Black. 12 comments | Leave a comment? Touch ‘n Go is pretty much part and parcel of life for Malaysian drivers. It’s probably safe to say that no one really likes paying toll in Malaysia, but for those who use the Touch ‘n Go card, SmartTAG, Touch ‘n Go eWallet, RFID and now PayDirect, there’s no denying that every layer of innovation makes doing the deed more convenient. If you have not heard of PayDirect, it essentially allows users to link up to three Touch n’ Go cards to their eWallet app. Once linked, the toll charge will automatically be deducted from the eWallet whenever it’s used (either by tapping it on a reader or by using a SmartTAG), without any deductions on the physical card itself. In the event that the eWallet has insufficient funds, only then will the fare be deducted from the card’s balance. Reloading the eWallet is done through the phone app via credit or debit card, online banking or TNG Reload PINs with no additional fees. In the video above, we ask a few Malaysian drivers what they think of each of the above ‘conveniences’. Be sure to watch it, and don’t forget to let us know what you think! 20 comments | Leave a comment? 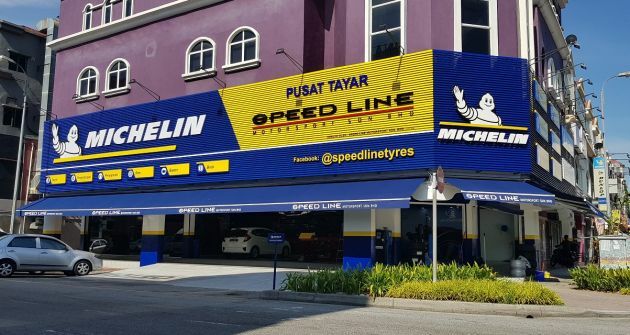 Michelin has officially launched its first flagship store for premium performance-oriented tyres at SpeedLine Kota Damansara. The first of its kind in Malaysia, the store carries a full range of Michelin tyres, including ultra-high performance (UHP) Pilot Sport tyres as well as racing tyres. Michelin motorsports merchandise, too. “Over the years, the trend for super sports cars and ultra-high-performance tuning in Malaysia has continued to rise, and we have seen an increase in demand for high performance tyres amongst consumers. The partnership with SpeedLine will allow us to provide our UHP products to this specific group of car enthusiasts who require tyres made for sport performance,” said Pascal Nouvellon, MD of Michelin Malaysia, Singapore, Indonesia and Brunei. Nouvellon added that this partnership is in line with Michelin’s plan to improve product availability in the Malaysian market. “As we’ve done over the years, we will continue to look at opportunities to grow with the country through various channels including increasing our already extensive dealership network and raise the profile of the car servicing industry to adhere to international standards,” he said. SpeedLine Kota Damansara’s 2,221 sq.ft outlet is located at 31, Jalan PJU 5/18, Petaling Jaya, and operates from 9am to 7pm. The dealer will be offering exclusive Michelin motorsports merchandise with the purchase of tyres. As of March 2019, the French tyre company has a nationwide network of 124 Michelin-branded stores, 54 TyrePlus outlets and over 350 Michelin-authorised independent dealers. At the 5G Malaysia Showcase in Putrajaya, prime minister Tun Dr Mahathir Mohamad was taken for a ride in an autonomous Proton Exora while being accompanied by communications and multimedia minister Gobind Singh Deo. 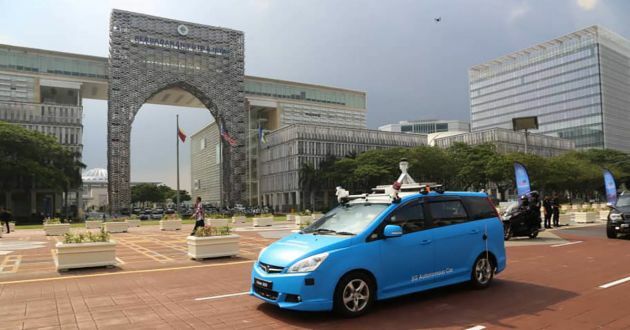 As reported by Soyacincau, the demo vehicle prepared by Celcom was fitted with an array of cameras, radar and LIDAR sensors allowing it to sense its surroundings. These inputs are linked to a driverless system developed by eMooVit Technology, a startup focused on autonomous driving technologies, which is headquartered in Singapore. This system is capable of Level 4 autonomous driving, so the vehicle can essentially drive itself. However, a driver is still required behind the wheel, so the steering wheel and pedals cannot be omitted from the cabin. Additionally, the system is linked to a central server to ensure it obtains the latest mapping information. This Vehicle-communication goes both ways too, as the system will send updates that could be beneficial to other vehicles like obstructions or other road hazards. This Cellular Vehicle-to-Everything (C-V2X) communication is dependent on mobile data, which is where the speed and low latency offered by 5G connectivity becomes relevant. Should there be any issues involving the network or server, the car will rely solely on its onboard system, or the driver can take over. As this is a test vehicle, an emergency button can fully override the system, giving the driver full control again.